The aim is to develop methods and a prototype that may be used for automatic validation and dynamic expansion of the draft ontologies that result from the automatic knowledge extraction. Our terminological ontologies contain formalized descriptions of the concepts in the form of typed feature structures. 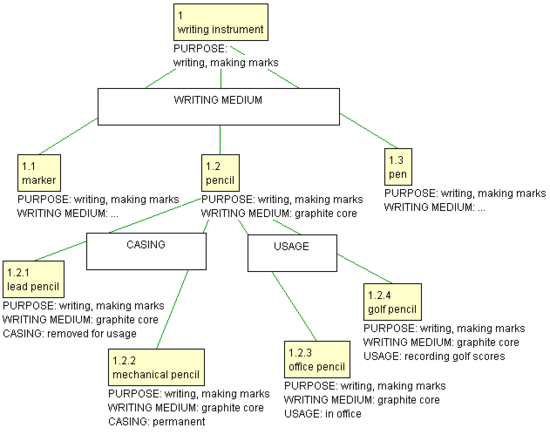 A typed feature structure consists of a number of attribute-value pairs, or feature specifications, each representing a characteristic of a concept.The distribution of feature specifications in a terminological ontology is subject to a number of constraints primarily based on inheritance, and the validation of draft ontologies is based on these constraints.